The Children's Place does not own or operate any manufacturing facilities, but rather, contracts with global vendors to manufacture products in their network of factories. Our goal is to work with those who are committed to providing fair and safe working conditions for their factory workers. We seek to work with global vendors who demonstrate strong business ethics and transparency in their sourcing practices. 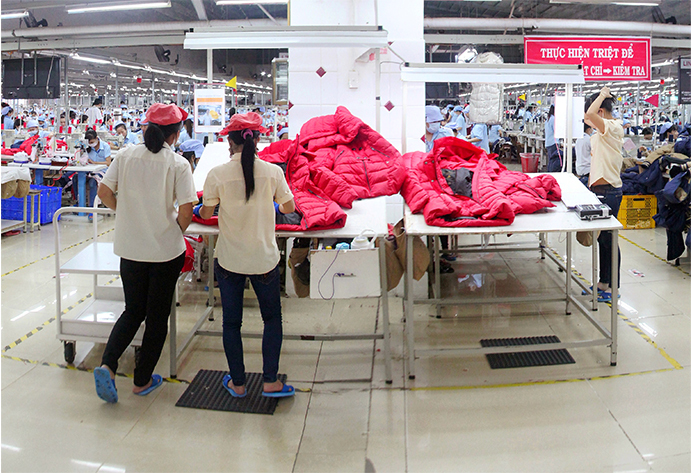 It is our belief that all factory workers who make our products deserve to have decent and safe work environments. To support our commitment to responsible sourcing, we have developed a Vendor Code of Conduct. The Vendor Code of Conduct promotes compliance by our global vendors with applicable laws and supports the principles stated in international standards, such as the International Labor Organization (ILO) core conventions, the UN Guiding Principles on Business and Human Rights and the Organization for Economic Cooperation and Development (OECD) Guidelines for Multinational Enterprises. In line with the 2012 California Transparency in Supply Chains Act, our Vendor Code of Conduct specifically prohibits slavery, human trafficking, forced and involuntary labor. We remain committed to increasing transparency in our supply chain to help prevent human trafficking and forced labor. The Children's Place administers a factory audit program to evaluate and monitor factory working conditions against our Vendor Code of Conduct. We require audits by our Responsible Sourcing team (or a third party provider) for all new suppliers producing and/or processing our merchandise as part of the production approval process. We constantly re-audit existing suppliers to verify compliance to our standards and identify areas for improvement. While we recognize that no audit program can guarantee that every factory used by every vendor for The Children's Place is in full compliance with our Vendor Code of Conduct, we continually strive to enhance our audit program. Our Responsible Sourcing team offers guidance and training to vendors and factories to resolve issues identified during audits. We also engage with industry experts, such as Better Work, to enhance our processes through consulting services that build strong management systems and worker-management relations. Learn more about our responsible sourcing partners by clicking their logos below. Better Work is a global initiative mobilizing brands, governments, factory owners and workers to improve working conditions in the garment industry. The program, a partnership between the UN's ILO and the IFC, a member of the World Bank Group, manages factory assessments and trainings to empower factories to improve the lives of their workers. The Children's Place supports Better Work's priorities of setting up structures to boost worker-management dialog and implement lasting workplace improvements. Learn more about Better Work. The Children's Place is a signatory of the Social & Labor Convergence Project (SLCP). This multi-stakeholder initiative is a collaboration between manufacturers, retailers, industry groups, and civil society organizations to develop a simple, unified and effective assessment framework to factory monitoring. 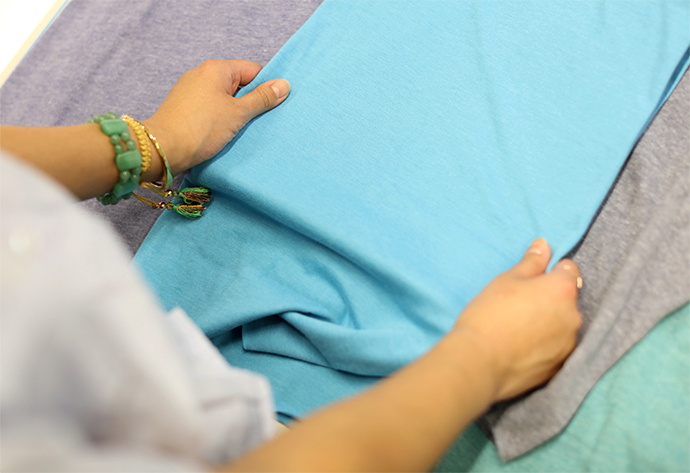 Our shared goal is to increase the effectiveness of factory audits, reduce audit fatigue and better utilize collective resources in the apparel supply chain. 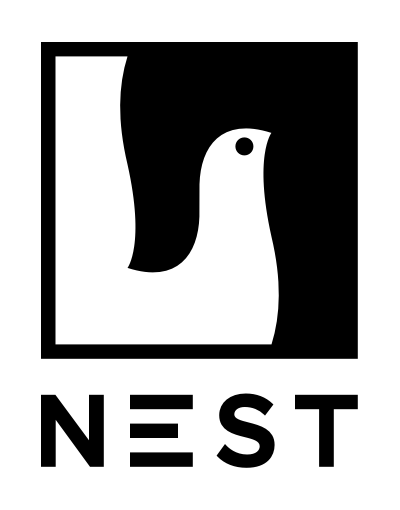 Nest is a nonprofit organization focused on developing ethical sourcing practices in the artisan and work-from-home supply chains. The Children's Place is a Nest Steering Committee member and supports a vision to increase economic opportunities for artisans who adopt social responsibility as a part of their business practices. At The Children’s Place, we recognize that we can play a role in trying to improve the lives of the factory workers who make our products. We believe such programs move our responsible sourcing activities beyond an approach based solely on compliance by focusing on workers’ needs and well-being. These programs support our business goals by working to reduce absenteeism and improve factory productivity. The Children’s Place sponsors factory workplace programs focused on health, nutrition, positive gender relations and parent-child separation. We partner with non-profit organizations that have expertise of running factory education programs in the countries we operate in. Through this approach, The Children’s Place strives to create impact through a partnership with leading organizations whose goal it is to drive positive change in the garment industry. The Children’s Place promotes programs such as BSR’s HERproject, CARE’s Healthy Food, Healthy Workplace program and The Center For Child Rights & Corporate Social Responsibility’s (CCR CSR) Parent’s At Work program. Learn more about these organizations. BSR's HERproject aims to unlock the full potential of garment workers through workplace programs promoting health, financial inclusion and gender equality. Through HERproject, The Children’s Place partners with its global vendors and local NGOs to help drive positive impact for women and for its business. CARE’s Healthy Food, Healthy Workplace project aims to improve knowledge of nutritious foods and hygiene to improve worker health. Managed by CARE International, a global poverty-fighting organization, the program also engages with factories to improve food options available to garment factory workers. The Children's Place has invested in this program in Cambodia to support healthy eating choices and combat instances of workplace fainting in the garment sector. Learn more about the Healthy Food, Healthy Workplace project. The Center for Child Rights & Corporate Social Responsibility (CCR CSR) is a social enterprise that supports businesses to improve the lives of children, young people and parent-workers through sustainability strategies, programs and projects. The Children’s Place partners with CCR CSR on programs focused on parent training and childcare with our Vendor Factories. In 2018, The Children’s Place expanded its responsible sourcing activities again to include environmental stewardship. We join with companies in the apparel and footwear industry, and other non-profit organizations, to work with 3rd party vendors and factories to reduce environmental impacts from manufacturing activities. We are committed to a long-term, sustainable approach with manufactures that demonstrate leadership in sustainability by using resources responsibly and efficiently. The Children’s Place environmental initiatives strive to address a number of the sustainability-related business issues identified as more material for the Company’s industry by the Sustainability Accounting Standards Board’s (SASB) Materiality Map®, including managing risks related to chemicals, wastewater discharge and raw material sourcing. Supporting more responsible chemical management and wastewater practices benefits both the environment in the regions we source from and the people and businesses who make our product. Because cotton is the primary raw material used in our product, promoting the use of responsibility-sourced cotton can alleviate issues in its cultivation through better management of water, pesticide use and workplace standards for farmers. To achieve our goals, The Children’s Place may require manufacturers to undergo third party environmental assessments to verify they meet local laws and regulations. The Children’s Place has joined collaborations such as the Sustainable Apparel Coalition (SAC), The Afirm Group and the Better Cotton Initiative (BCI) to partner with like-minded organizations that strive to improve the environmental impact of the industry. Learn more about these organizations and their programs below. The Sustainable Apparel Coalition (SAC) is an industry-wide group of more than 230 members working to reduce the environmental and social impacts of products around the world. Through multi-stakeholder engagement, the SAC seeks to lead the industry toward a shared vision of sustainability built upon a common approach for measuring and evaluating apparel, footwear, and textile product sustainability performance that spotlights priorities for action and opportunities for technological innovation. Learn more about the Sustainable Apparel Coalition. 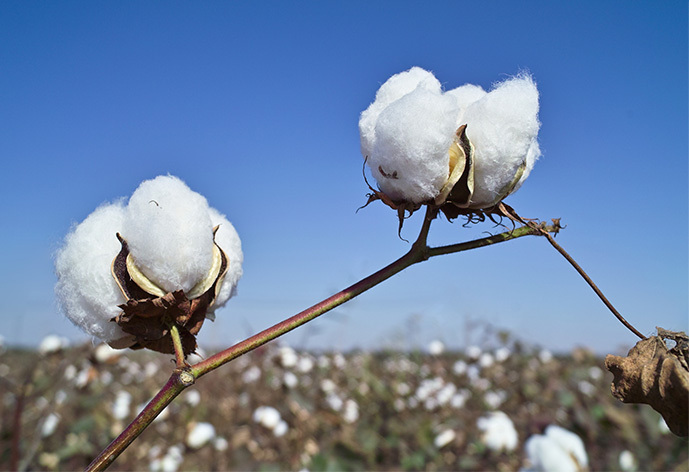 The Better Cotton Initiative (BCI) is the largest cotton sustainability program in the world. Working with organizations from farming, retail fashion and textile brands, BSI is an agricultural standard system helping farmers use less water and fewer chemical pesticides and fertilizers, all while improving yields, profitability and worker’s lives. Learn more about the Better Cotton Initiative. The AFIRM Group works to build safer and more sustainable chemistry within the apparel and footwear supply chains. With members including some of the largest brands and retailers in the world, AFIRM continues to be a recognized global center of excellence, providing resources to enable continuous advancement of chemical management best practices. Learn more about The AFIRM Group.